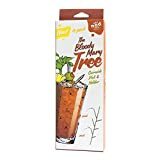 If you prefer your bloody marys to be edible works of art stacked sky high with tasty garnishes, then forget that straight garnish pick and branch out with these cool new Bloody Mary Trees. 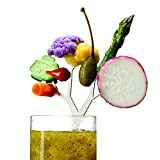 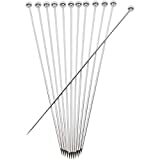 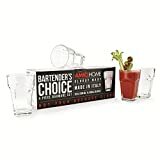 These reusable stainless steel cocktail picks feature six alternating branch prongs for sticking all kinds of fancy garnishes on and stand over seven inches tall to fit nicely in a pint glass. 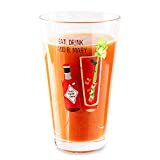 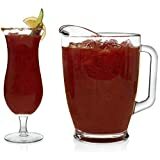 They come in a set of 4 and are not only great for Bloody Marys, Martinis (the more olives the better), and other mega-garnished cocktails, they're also work as appetizer picks or dipping sticks for fondue.